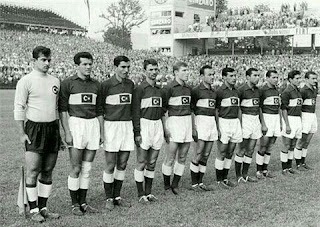 The fifth FIFA World Cup TM was hosted by Switzerland. The hosts and the defending champions Uruguay, qualified automatically. The remaining 14 places, 11 were allocated to Europe (Austria, Belgium, Czechoslovakia, England, France, Hungary, Italy, Scotland, West Germany, Yugoslavia, Turkey), two to the Americas (Brazil, and Mexico), and one to Asia ( South Korea). Neither Argentina nor the Soviet Union wanted to participate. Six venues in six cities hosted the tournament's 26 matches. The venues in Basel (St. Jakob Stadium ) hosted six matches; Bern (Wankdorf Stadium) , Zurich (Hardturm Stadium ) and Lausanne (Stade Olympique de la Pontaise ) each hosted 5 matches; the venue in Geneva (Charmilles Stadium) hosted 4 matches and the venue in Lugano (Cornaredo Stadium ) hosted 1 match. FIFA determined the seedings of eight teams based on world rankings prior to qualification. This created a bit of a problem when Turkey eliminated Spain in qualification. To resolve the issue FIFA gave Turkey the seeding that had previously been allocated to Spain. The eight teams finally seeded were: Austria, Brazil, England, France, Hungary, Italy, Uruguay and Turkey. The qualifying teams were divided into four groups (Pots) of four teams containing two seeded teams and two unseeded teams. In the four allocated matches seeded team played unseeded teams. After 90 minutes, if the score was level, 30 minutes of extra time were allocated. If the scores had still been level after extra time, in any knockout game other than the final, lots would have been drawn to decide which team progressed. Two points were awarded for a win and one for a draw. The two teams with the most points from each group progressed to the knockout stage. 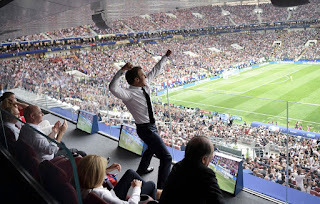 The four group-winning teams were drawn against each other in the knockout stages to produce one finalist, and the four second-placed teams played against each other to produce the second finalist. Over Seven hundred and sixty-eight thousand (768,607) people attended the 1954 FIF World Cup TM with an average gate of 29, 561. There were 140 goals scored with an average of 5.38 goals per game. Hungary, the ‘Magnificent Magyars’, were considered the best team in the competition and went into the 1954 World Cup TM on a 32-game unbeaten run. 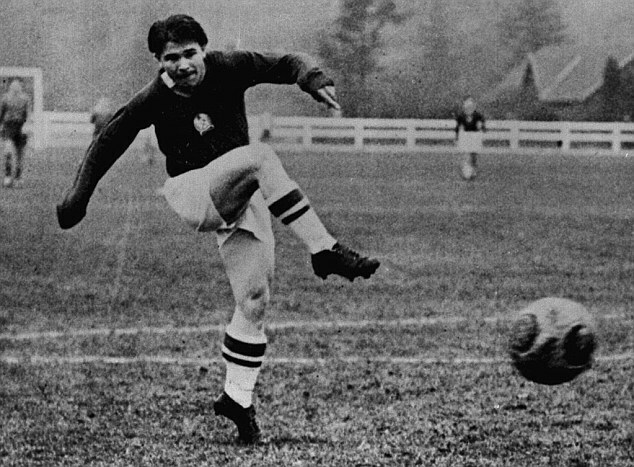 Their captain, Ferenc Puskas was nicknamed the Galloping Major, after his club team in Hungary became the Hungarian Army team. He scored twice in his country’s first game of the World Cup, a 9-0 thrashing of South Korea. 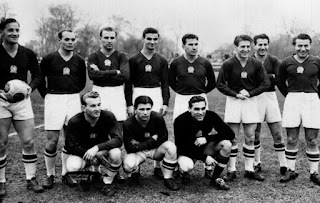 Overall Hungary scored a total of 27 during the competition and Sándor Kocsis (Hungary) became the top goal scorer with 11 goals to his credit including two hat tricks . There were eight hat tricks scored, overall. This was the first time the FIFA World Cup TM was televised. The European Broadcasting Union was set up in 1950 and the Continental Television Exchange was able to transmit live pictures between countries with relative ease. 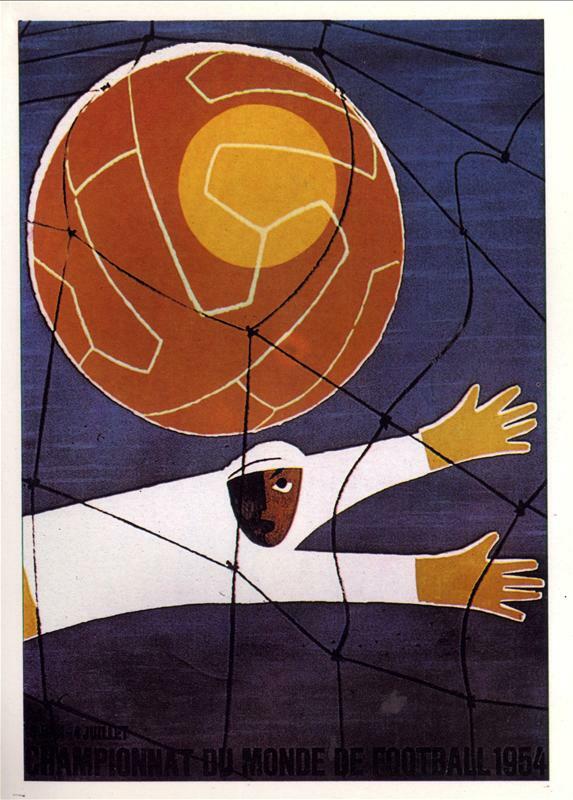 Nine World Cup games were televised and the Swiss football association were paid about $2,500 (£1,500). Only eight countries had suitable television services to take advantage and all the World Cup games chosen for live filming. The games were were pooled, and each nation had to broadcast whatever they were offered rather than focus on their own interests. In England, the BBC only broadcast the Hungary v West Germany (8-3) live, and the second half of two quarter-finals, including England’s defeat to Uruguay. 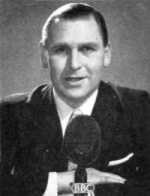 The recorded highlights were shown days later and all were commentated on by Kenneth Wolstenholme. The 1954 FIFA World Cup TM established the appeal of the sport for mass TV audiences. Sixty thousand (60,000) people crammed inside the Wankdorf Stadion in Bern to watch West Germany, defeat favourites, Hungary, 3–2 in the final. 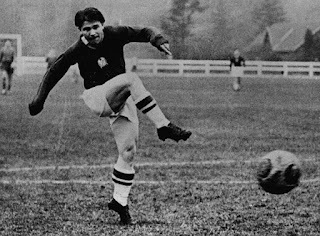 The game was dubbed the Miracle of Bern in Germany, when Helmut Rahn scored the winning goal in the pouring rain. 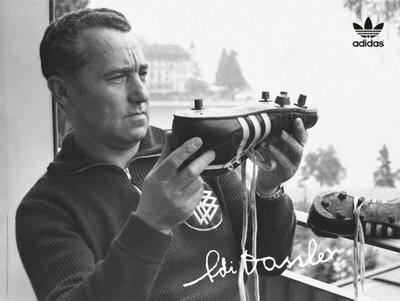 For the first time the West German team were wearing boots supplied by Adi Dassler. The boots had replaceable (screw-in) studs which could be adapted to the wet conditions. However, this was a rematch of a first-round game, which Hungary thrashed West Germany, 8–3 and the West German team were made up of amateur players, as Germany did not have a professional league at this time. This was an improbable victory and won against incredible odds. The Germans reached the final but were huge underdogs. On the day of the game it poured with rained, turning the pitch into a bog. 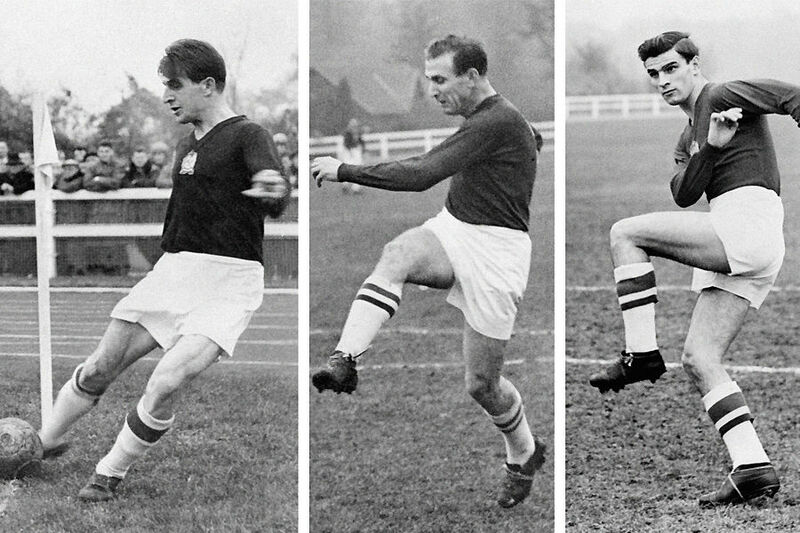 The Germans fitted longer studs into their regular boots and were far more nimble than the Hungarians, who were forced to wear their much heavier wet-weather boots. West Germany pulled off a shock result, winning 3-2, in a game still known as “The Miracle of Bern.” For the Hungarians, who were unbeaten for a record of 32 consecutive matches, the loss was a complete disaster. The game remains controversial due to several referee errors and alleged doping. 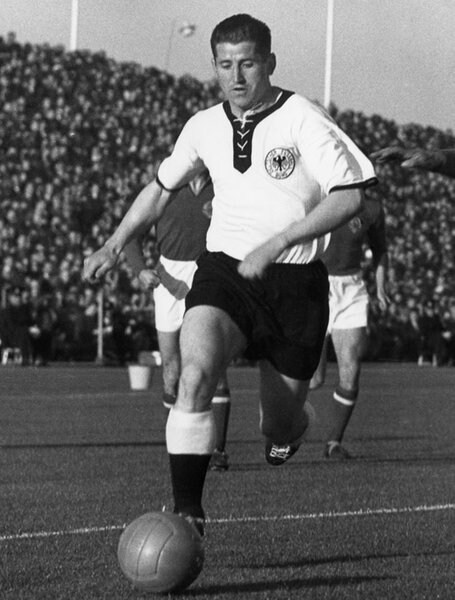 The improved overall performance of the West Germans in the second half was suggestive some of the team had been given performance enhancing supplements, but this was was not illegal at the time. 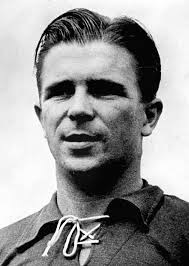 Hungarian Captain Ferenc Puskás, was convinced the West Germans were given performance enhancing supplements which was steadfastly denied by the West German officials at the time. 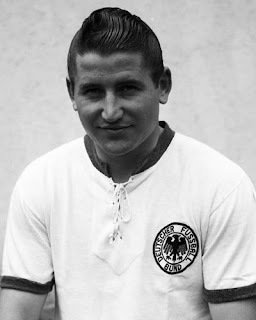 Historical records have revealed however, there was a wave of jaundice among some of the West German team following the tournament. It has been suggested the infection came from needle sharing. The West German coaches claimed it was from vitamin C injections at half-time, but others suggest it was more likely to be the banned substance, methamphetamine. Nothing could take away from the emotional thrill and restoration of national confidence that the West German football team’s victory gave to the post war German people. Much later this was captured in the movie Das Wunder von Bern (The Miracle of Bern) directed by Sönke Wortmann in 2003, it re-tells the story of the German team's route to victory through the eyes of a young boy who admires the key player of the final, Helmut Rahn.